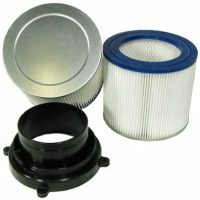 Pump-Out Slurry Filtration Vacuum. 2000 Watts, 120 Volt, 195 Net CFM, 126″ H20, 24 Gallon HD Poly Tank. 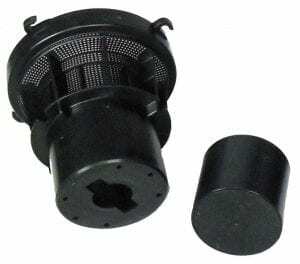 Integrated sump pump automatically discharges filter water. 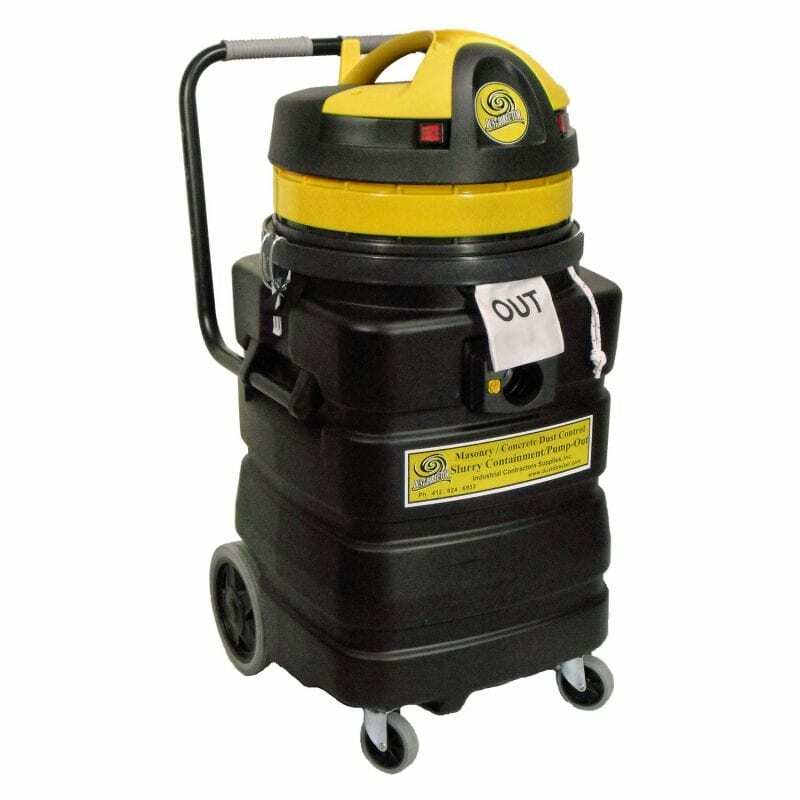 Collecting and containing debris and sludge has never been easier or more cost effective. With the SV-2000 Sump & Slurry Filtration Vacuum, chips and finer debris particles are efficiently collected and contained while gray water or filtered fluids are returned for reuse or relocation. Constructed of a virtually a indestructible 24 gallon polyethylene tank, the SV-2000 provides maximum durability and minimal maintenance with its corrosion, dent and rust resistant tank. Similar to our S2000 Sump & Sludge Vacuum, the difference is the Separation Plate that keeps the High Efficiency Collection Bag from interfering with the operation of the integrated sump pump. 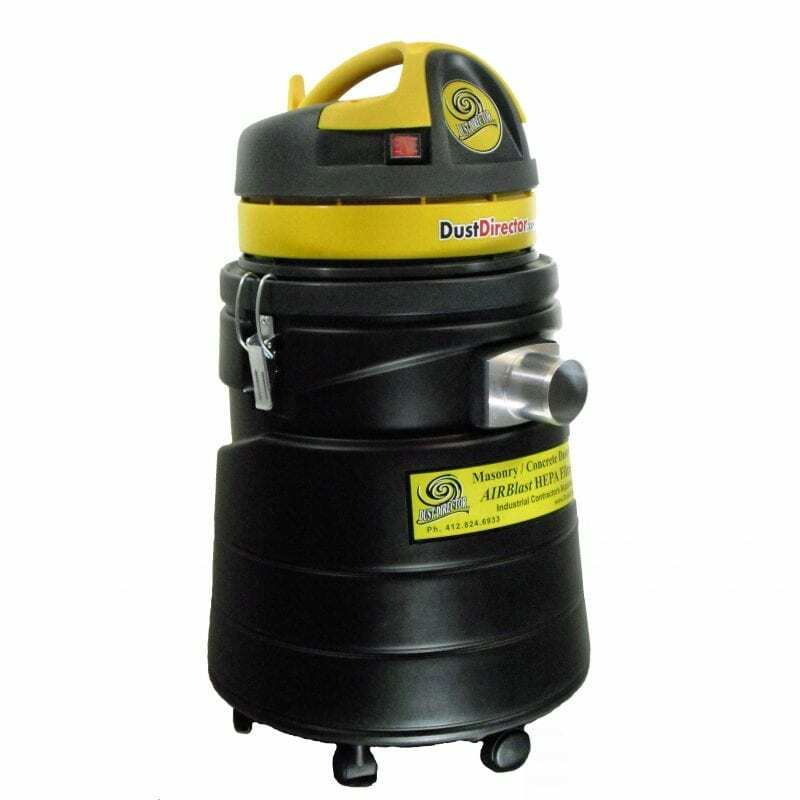 Capturing debris particles down to 200 microns, filtered liquids are easily and automatically discharged from the tank for recycling or disposal by the internal sump pump. Simultaneous operation – Vacuum slurry and automatic discharge of filtered liquid. Unplug the sump pump – Use the vacuum as a continuous water supply during concrete, masonry and tile cutting and drilling applications. 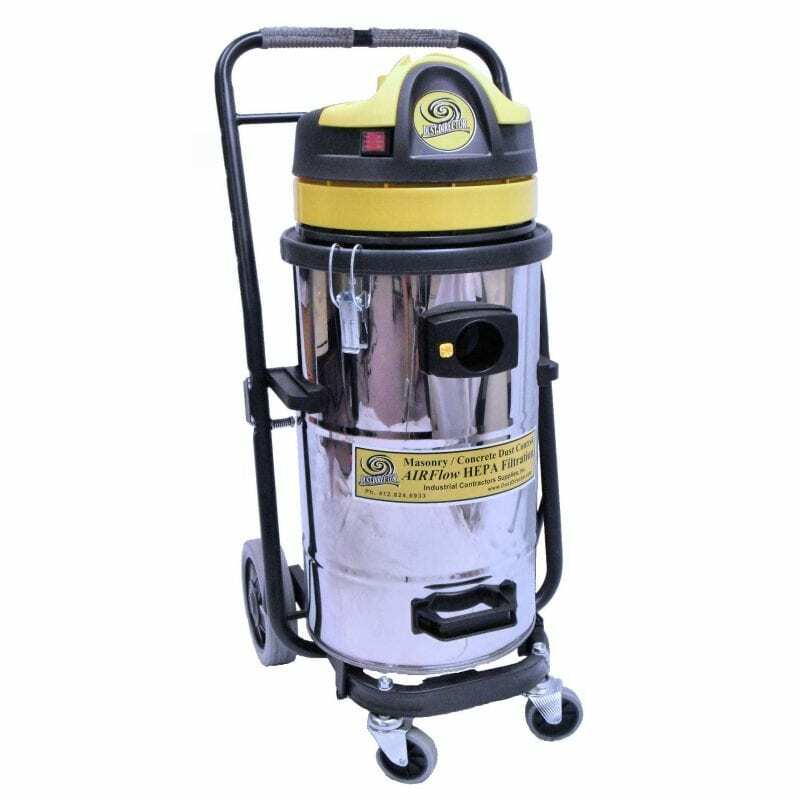 Other features of the SV-2000 Sump and Slurry Industrial Vacuum are its powerful 120 volt twin 1000 watt 8.5 amp motors, 195 CFM, 125″ H20 and 2″ inlet. 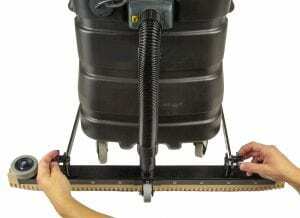 Vacuum Size: 19.5″ x 17″ x 38″, 57 lbs. 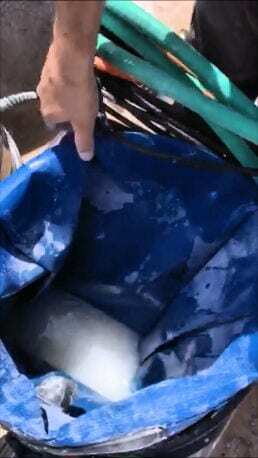 “White” High Efficiency Filter Collection Bag containing the slurry’s debris – being removed from the “blue” Containment Basket. 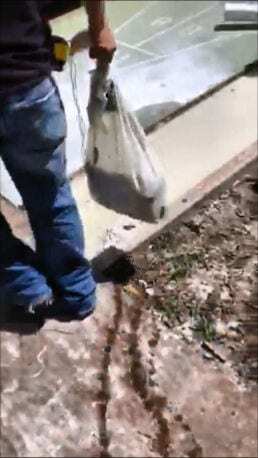 Handling the “white” Slurry Containment Bag. Watered sludge is ready to be solidified by using Slurry Solidify – a Super Absorbent Polymer. Discharges the filtered liquid for recycling or disposal. The above operations perform simultaneously without mechanical or operator intervention. Removal and handling of the contained debris is easy and manageable, as follows . . . Inside views of the tank with its protected cage for the sump pump, discharge plumbing, and filter containment bags. 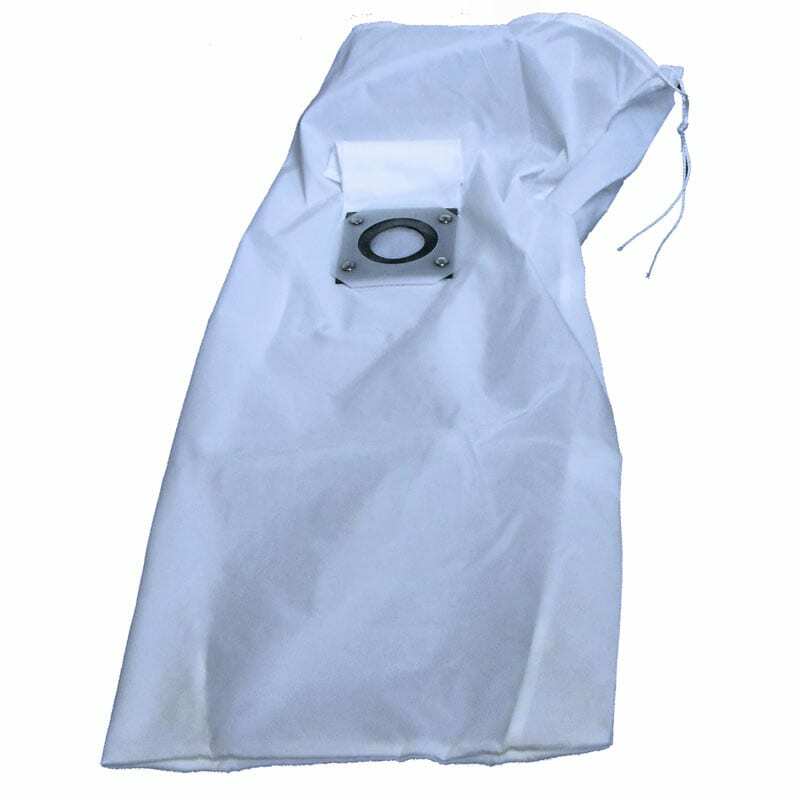 Secures, Isolates, Stabilities the “white” Collection Bag – Maximizes it’s fill capacities while providing for easy removal. 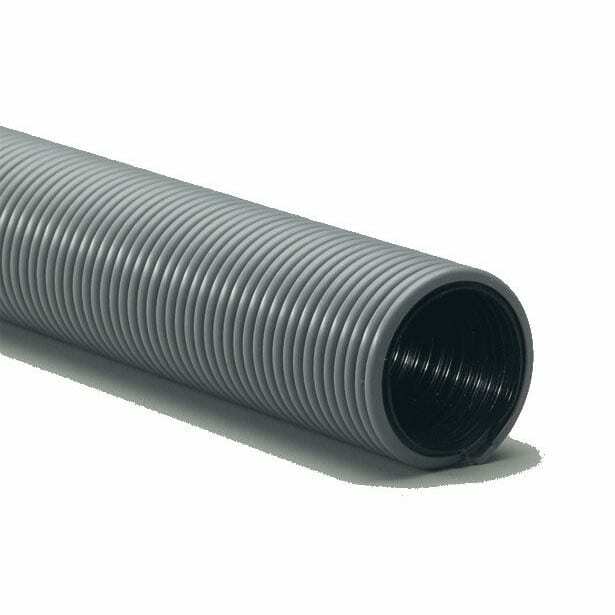 Isolates the internal sump pump to guard against obstructions interfering with its discharge operation. A few of the components to help make the SV-2000 the leading slurry vacuum on the market. 1/4″ Aluminum Protection Plate. 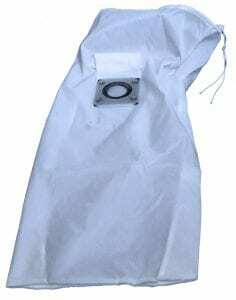 Prevents the two slurry bags from interfering with the operation of the sump pump – Keeps the inlet ports and the float switch on the sump pump from becoming tangled with the slurry bags. 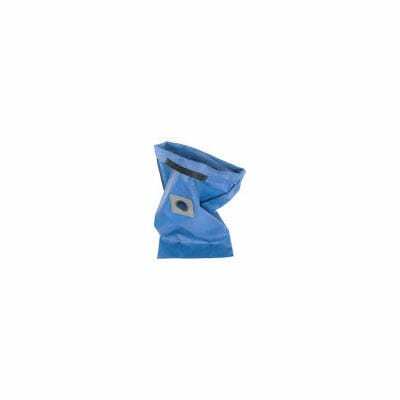 Blue & White Slurry Bags. 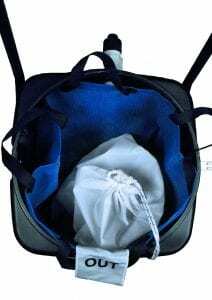 The blue bag stabilizes or contains the white “collection” bag – Helping to keep it in place, from forming behind the Protection Plate as it fills will fines – which would cause it to interfere with the operation of the sump pump. On some applications, the Whilte Slurry “collection” bag may be used by itself. Note, the Aluminum Protection Plate is always used. Saves time with fewer interruptions for refilling water tanks. Keeps the work site clean and traps slurry for easy waste disposal. IDEAL APPLICATION: Diamond Core Drilling, Grinding, Polishing and Sawing with Masonry and Tile Saws, Hand Grinders. In this application, the SV-2000 saves you valuable time, labor and water. You’ll have a mobile, self-contained, water supply that lets you reuse filtered water again and again while being environmentally responsible. Achieve high productivity results with the Front Mount 30″ Floor Sweep attached ~ sweep and vacuum slurry from floors to remove the slurry before using another diamond grit with your grinder. The internal sump pump empties the filtered gray water from the tank automatically. Or, unplug the sump pump and discharge the filtered water when you want too. Depending on the grit size, you typically only have to remove the slurry bag at the end of the day. IDEAL APPLICATION: Concrete & Stone Grinding & Polishing, Stripping Floors with Chemicals to Remove Mastics & Grime, Debris from Pressure Washing. When activated, the integrated sump pump automatically discharges the gray, filtered water from the tank to your clean water container. In both of these applications, the SV-2000 provides incredible productivity while saving you valuable resources – time, labor and water. Productivity wise, the precise micron size of the “White” Slurry Collection Bag provides amble collection yields. Pond and Pool Cleaning — Efficiently vacuums foliage, algae and mud. 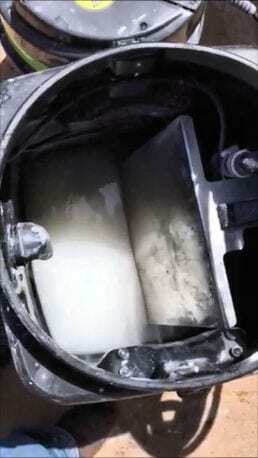 The debris is captured in the porous filter bag as the filtered water is instantly discharged back into the pond or pool (position the discharge hose to the skimmer and the filtered water is filtered again through the pond’s filter system. 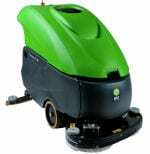 30″ Floor Sweep attached. Converts the SV2000 into a HD Floor Squeegee.Additionally, scrubbers (with all of their electronics and mechanical moving parts) require constant maintenance — even when used for their intended application which is to simply scrub dirty floors with water. 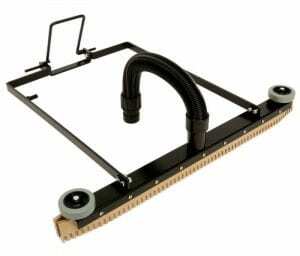 30″ Floor Squeegee, front blade is completely and easily adjustable (and removeable for transporting).Simple to install onto the 24 gallon tank. With the vacuum’s 2-motor suction power, floors are impressively vacuumed and left dry, ready for immediate traffic. Vacuum Dry Powders The blades of the squeegee along with the front bar adjustment feature makes the squeegee incredible at vacuuming dry powders. The complete assembly includes the convenient Rear Foot Bar to lower and raise the squeegee by your foot (ref. 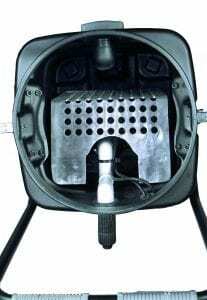 picture) In the raised position it locks into the notch in the tank for easy transportation. 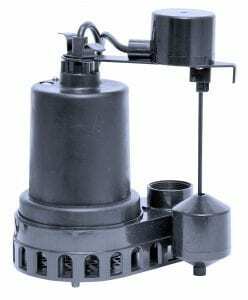 Continuous Duty Thermally Protected Sump Pump — 1/4 HP, 3.8 Amp, Tethered Float Switch Activated. 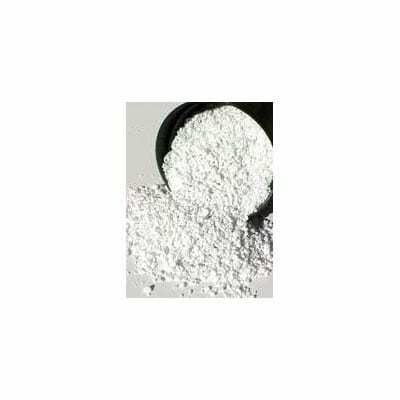 Polymer based super absorbent to handle fresh water base slurry. Available in 50 lb. bags. 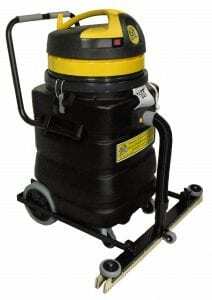 One (1) 50 pound bag of Slurry Solidify is always recommended when you purchase a Slurry Vac #SV-2000. After emptying the “white” Collection Bag, you’ll have free water in the sludge. Simply by spreading and mixing a handful of the polymer into the sludge you’ll quickly and completely absorb the free water. Slurry Solidify is a “premium” Super Absorbent Polymer (SAP) that quickly absorbs the free water AND only requires a minimal amount of the product to be use. With the sludge is solidified (no free liquid), the waste product is now classified as standard construction waste and approved for landfill disposal. NOTE: The more you add of the SAP, the harder the waste will become. For legal disposal, a paste is fine – you just can’t have any dripping. 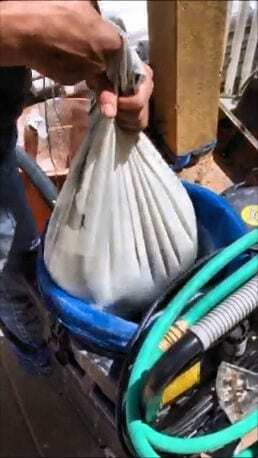 SOLIDIFICATION YIELD: 50 lb bag solidifies 1,600 gallons of slurry wastewater. From slurry sludge . . .
100% Liquids . 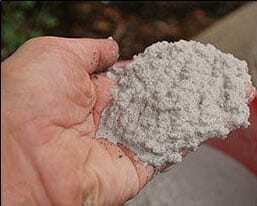 . .
A cupful of Slurry Solidify is typically all that is needed to solidify 16 gallons of concrete slurry. Solidified, the debris is classified as standard construction waste and approved for landfill disposal.